Year of the Dog celebrates the characteristics of the Chinese zodiac Dog and honors the collective memory and experiences of the Chinatown Boston community. 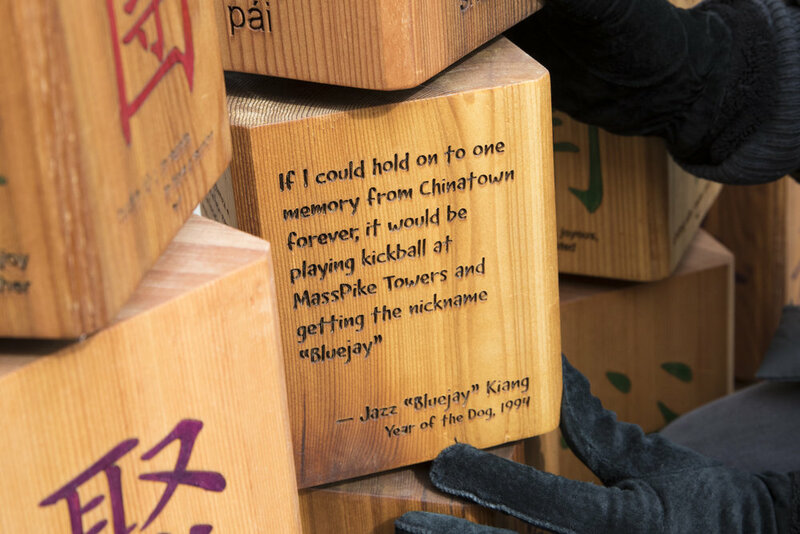 The spinnable blocks are engraved with traditional Chinese characters, as well as excerpts of memories and stories that I collected from people who live, work, or play near Chinatown Park. The meaning of a Chinese character changes based on the characters that appear before or after it, creating poetic connections that would otherwise be impossible to describe in the English language. Visitors are encouraged to turn the blocks, discovering new stories and making their own interpretations. The format of this artwork is designed to be playful and dynamic, like Dogs, and the very act of collecting the content relied on the generous nature and collaborative spirit ascribed to this zodiac animal. 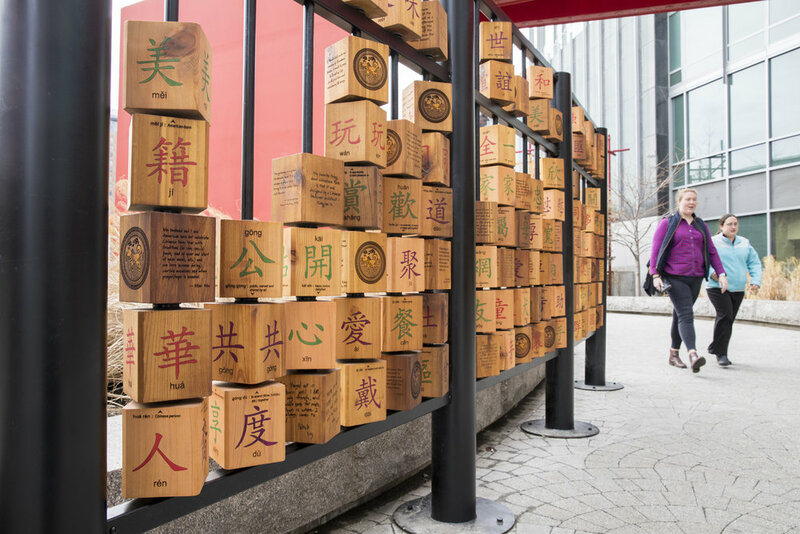 Year of the Dog was commissioned by the Rose Kennedy Greenway Conservancy as part of their Chinese Zodiac exhibition series. 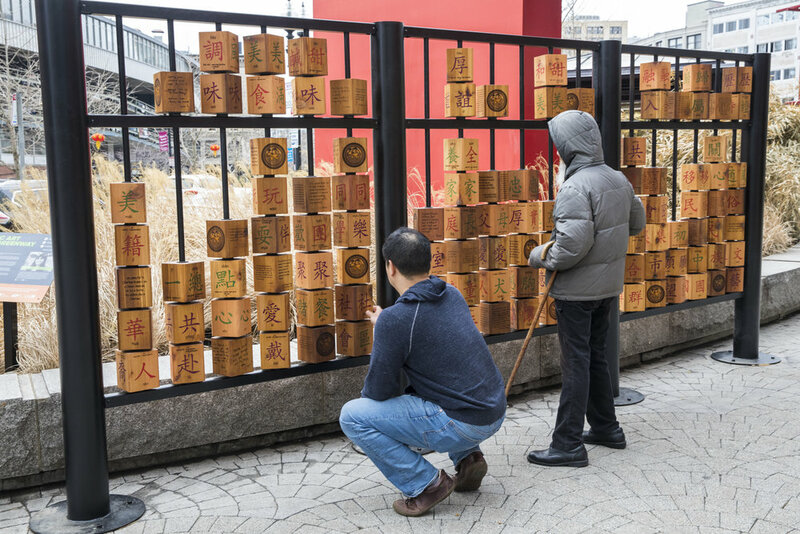 The installation will be located at the northern plaza of Chinatown Park from Feb 2018 – Feb 2019. Special thanks to all the generous people who shared their stories and memories of Chinatown for this project, especially the Asian Community Development Corporation’s A-VOYCE youth group.